*Contains PR samples and affiliate links. 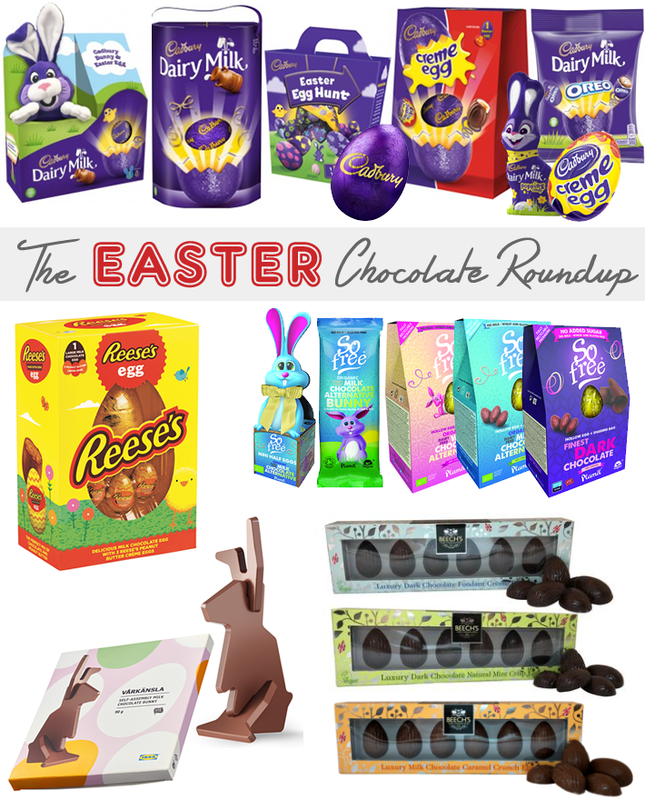 Easter is round the corner and I have put together a quick guide of some of the best Easter treats in the market - from milk chocolate eggs filled with cream to vegan Easter treats to even a DIY Easter bunny; there is a lot of variety in this roundup. I am sure you will find something to indulge your sweet tooth this Easter. 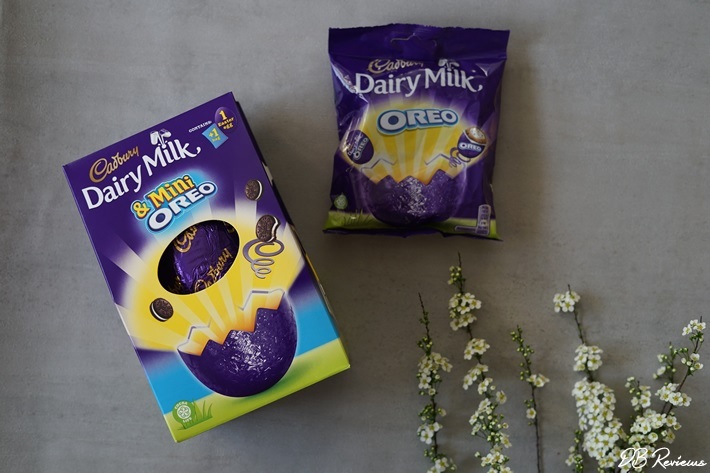 Oreo Egg : a delicious Cadbury chocolate egg filled with a creamy Oreo filling containing Oreo pieces. Yum! 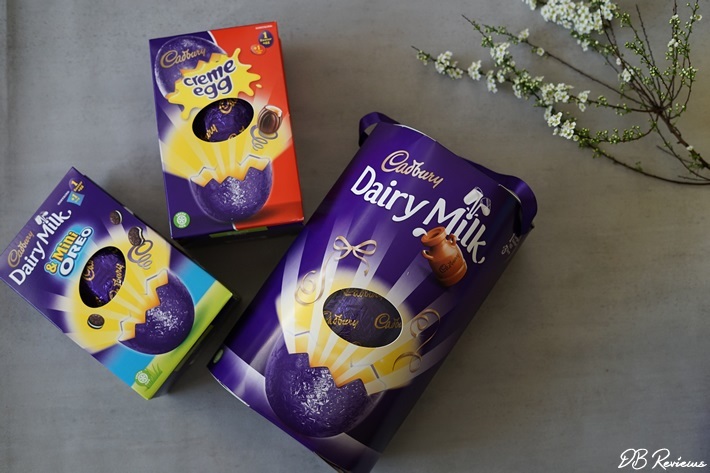 Dairy Milk Crunchie Ultimate Easter Egg : a new addition to the Ultimate Easter range, containing Cadbury Crunchie pieces within the delicious Cadbury Dairy Milk shell. Dairy Milk Easter Bunny Toy and Egg Pack : a purple Easter plush bunny alongside a Cadbury Dairy Milk Easter Egg. 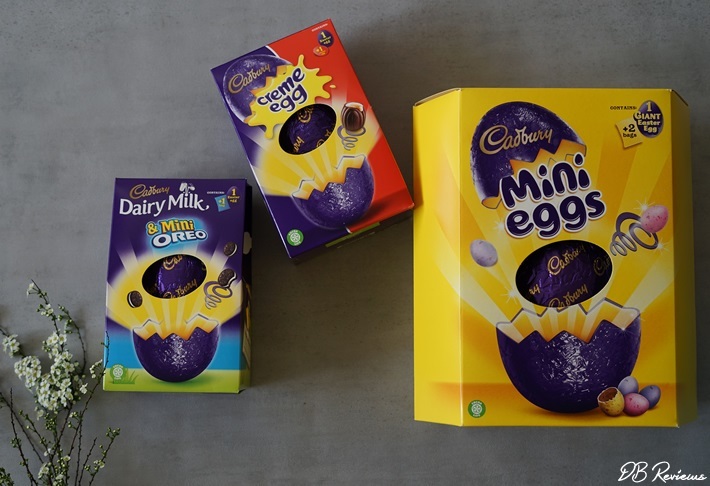 Picnic Large Easter Eggs : the packs contains a delicious Cadbury Dairy Milk egg along with two packs of Cadbury Picnics. 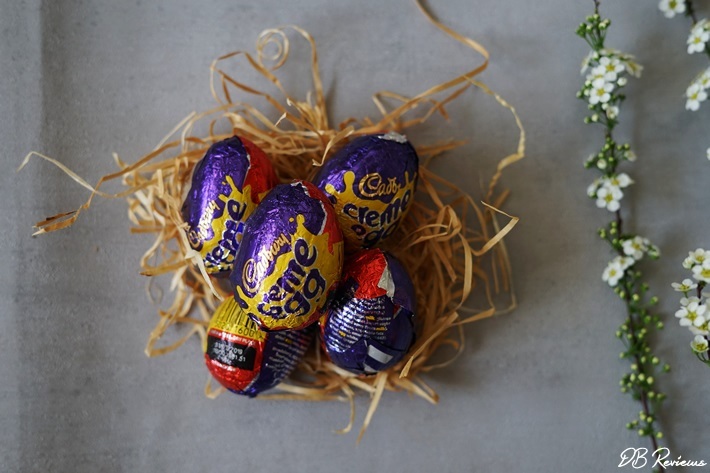 Creme Egg Twisted Bag : Cadbury Creme Egg Twisted chocolates are individually wrapped making them great for Easter Egg hunts. Heroes Easter Pouch with Mini Eggs : With all the Heroes favourites you’ll also find Cadbury Mini Eggs in this pack. 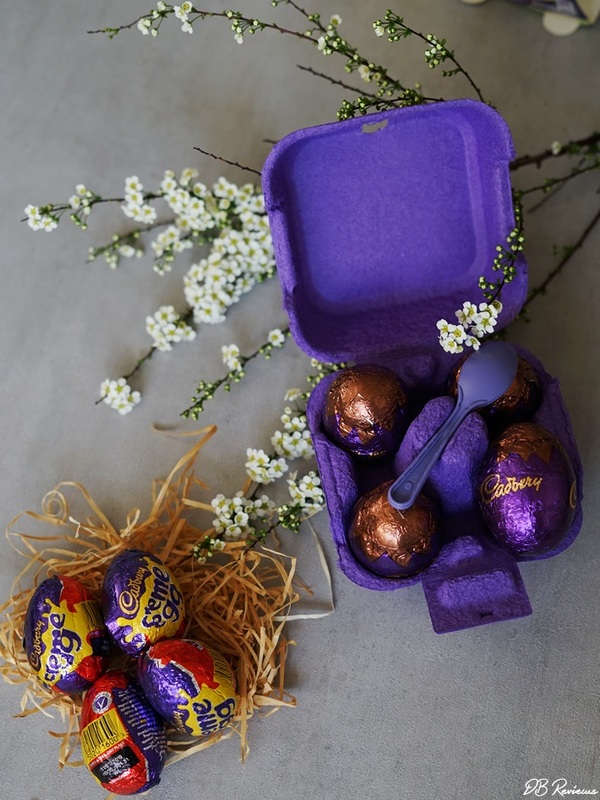 Cadbury Dairy Milk Egg ‘n’ Spoon : open up the egg box to reveal four individually wrapped delicious Cadbury Dairy Milk chocolate eggs filled with fluffy mousse centre. Delicious! 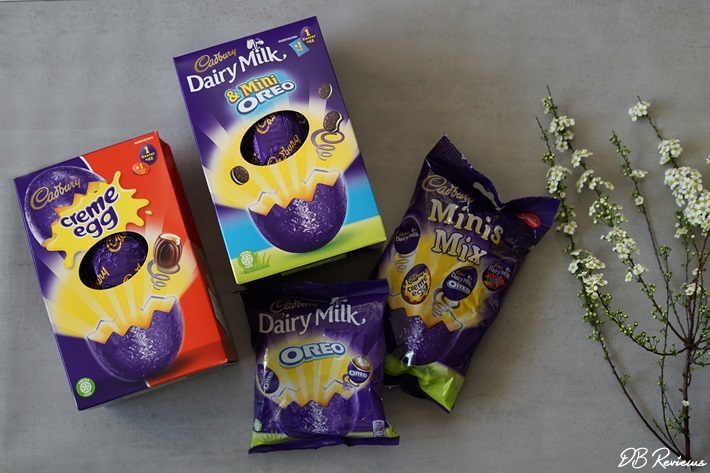 Cadbury Minis Mix : mix of mini filled eggs including Dairy Milk, Creme Egg and Dairy Milk Oreo. And a range of Easter eggs (Dairy Milk, Dairy Milk & Mini Oreos, Buttons, Mini Eggs, Crème Egg and Freddo Faces). Peanut butter lovers, this one is for you! 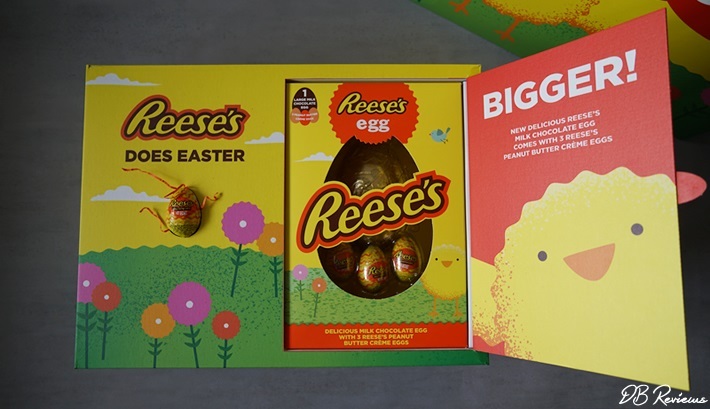 Reese’s has launched a new Easter egg for 2019. 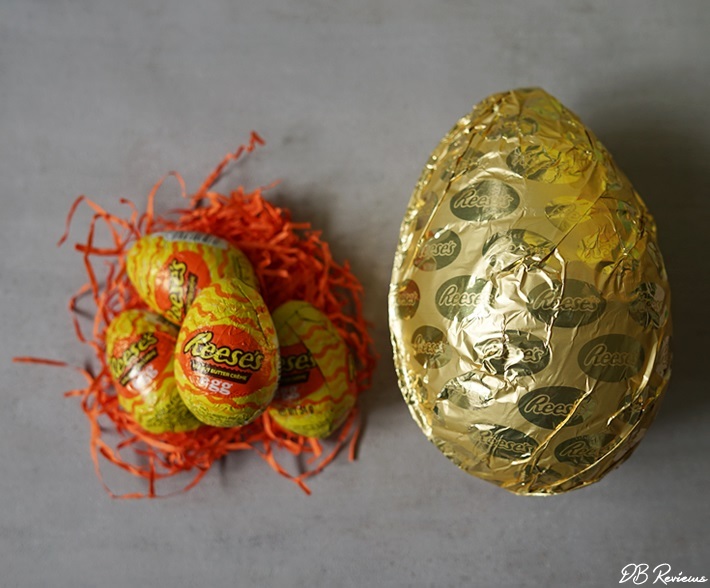 Brand new to the UK, the large hollow egg is made with delicious creamy milk chocolate and there are three Reese’s Peanut Butter Crème Eggs for the peanut butter fans. 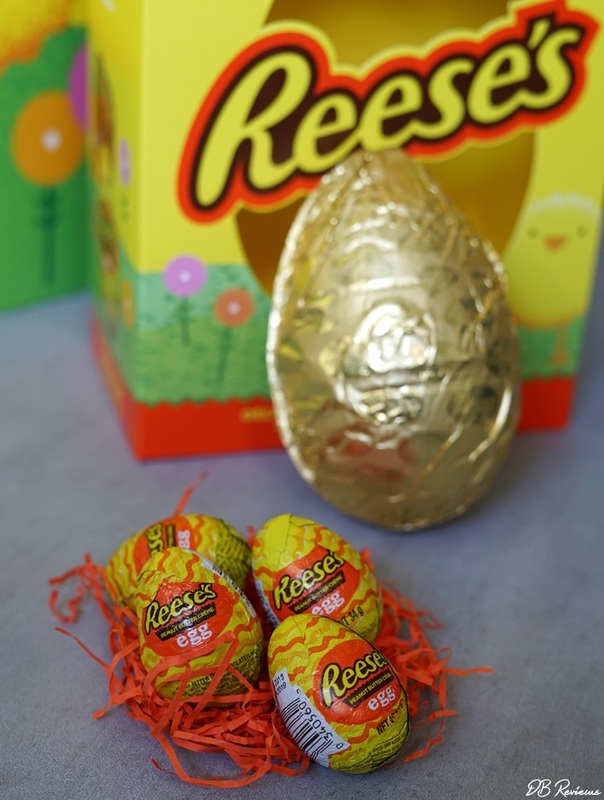 You can find these Reese’s treats exclusively at Tesco supermarkets. 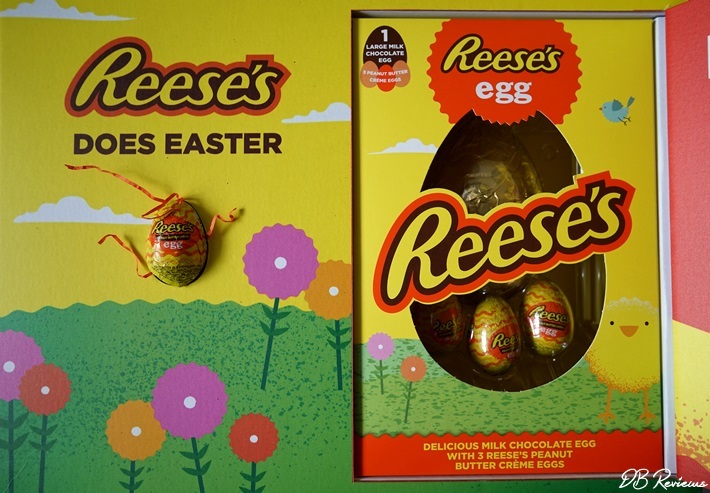 The Easter Egg is sold individually for RRP £6 while the Peanut Butter Creme Eggs have an RRP 0.60p each. Plamil Foods, established in 1961, is the first certified producer of organic vegan chocolate. 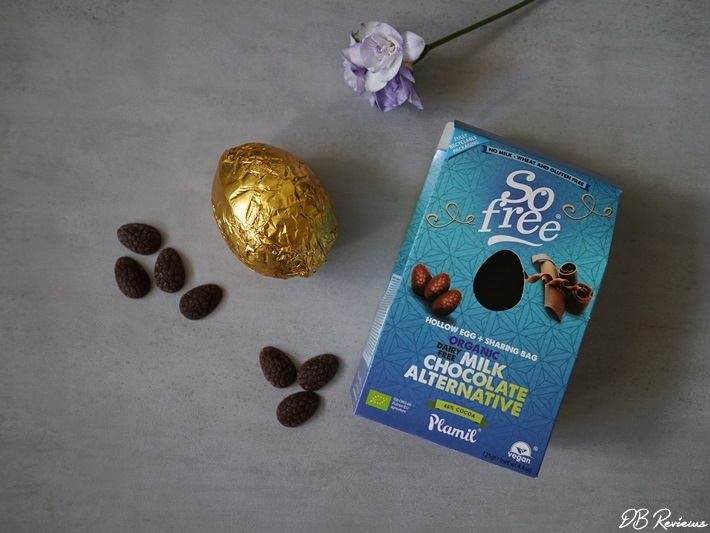 They recently launched a new Easter range, which includes three organic vegan Easter eggs, two bow tie bunny bars and a chocolate bunny bar. 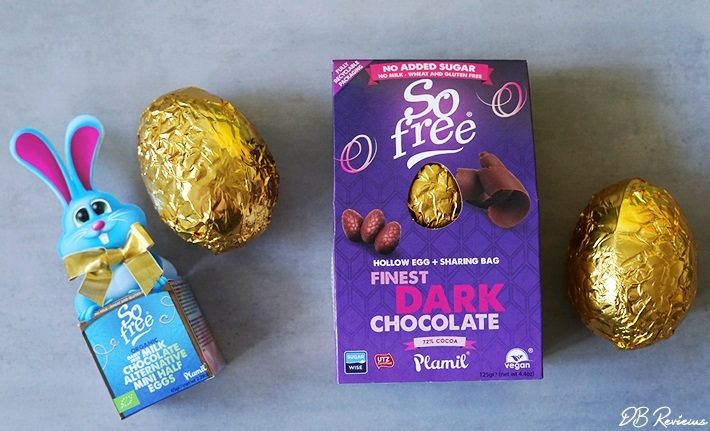 According to Plamil, all of these vegan treats are produced within their own factory which is completely dairy and lactose free. 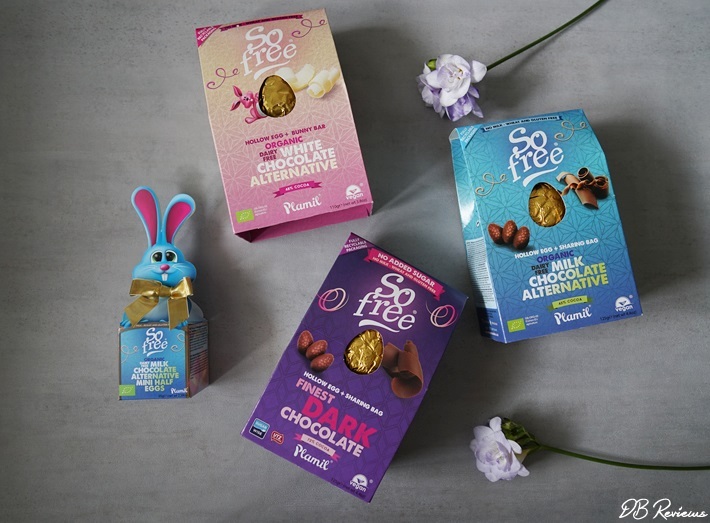 The products are made using high quality, ethical ingredients which includes no sugar chocolate and organic chocolate with all the dairy taste coming from rice milk. Yes, rice milk! Interesting. Looking for something different? 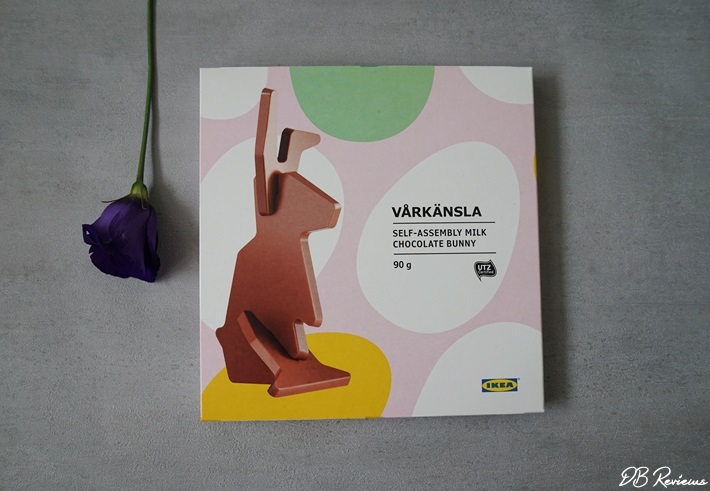 Then you need to check out this fun Easter treat with a twist - IKEA’s VÅRKÄNSLA chocolate bunny which is a self-assembly bunny! Yes, you heard that right. 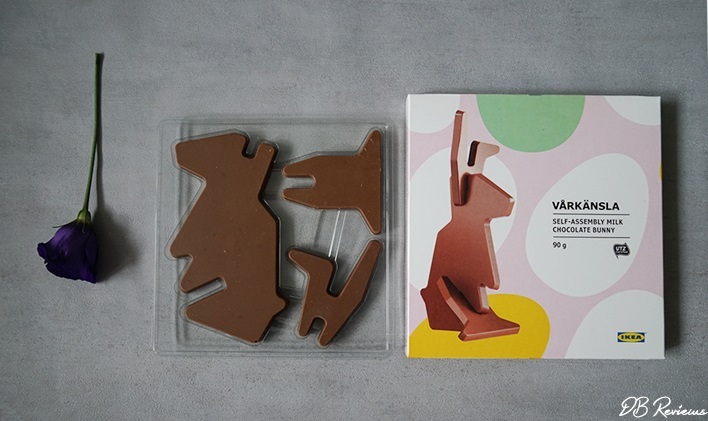 Made from certified cacao from sustainable sources, the three-piece milk chocolate bunny is sure to be a hit with DIY-ers. Easy peasy to assemble and very delicious, the chocolate bunny makes for a lovely decorative Easter figure as well as a fun gift. Priced at £2.95, it is available to purchase from IKEA stores. 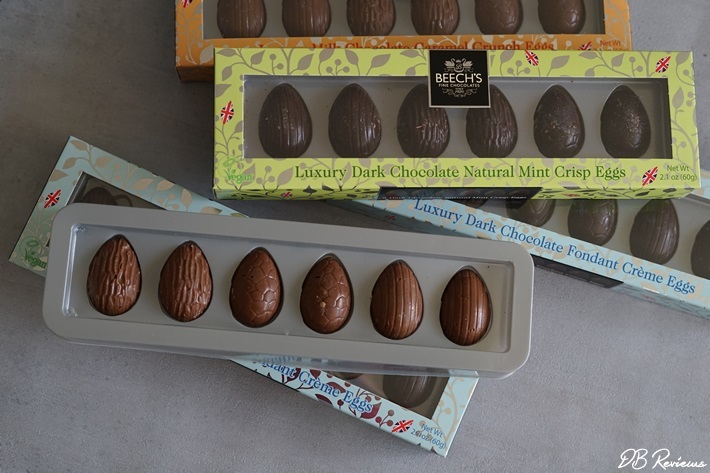 Beech's Fine Chocolates have been making delicious chocolates since 1920. 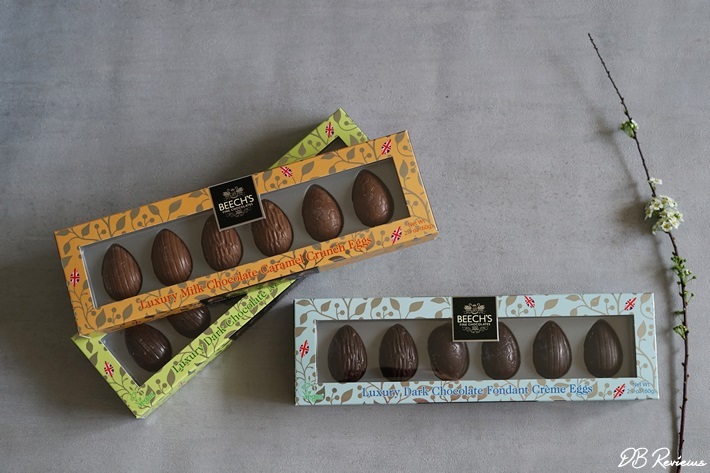 They make chocolates under their own brand (Beech’s) as well as for a small number of 'own label' brands for quality retailers. 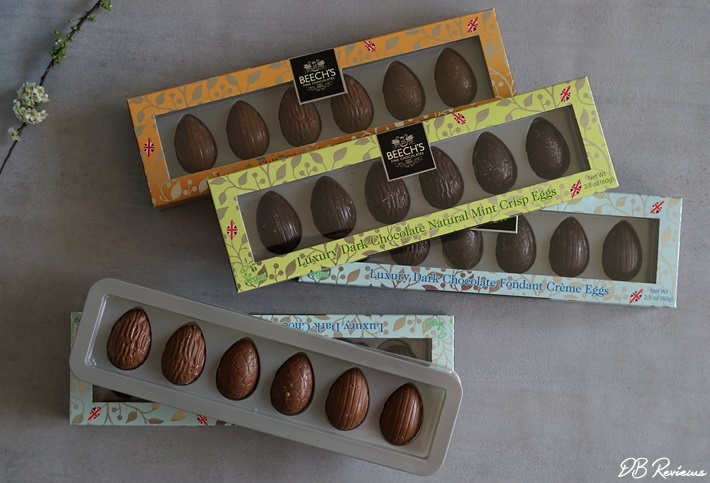 In addition to the milk and dark chocolate eggs, Beech's have a mint, caramel and fondant range of mini eggs which are delicious.